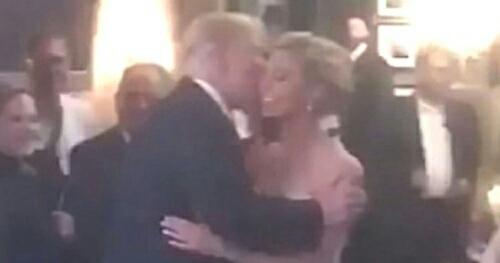 The US president, Donald Trump made a surprise stop at wedding on Saturday night at Trump's national golf club in Bedminster town, New Jersey. Party goers enthusiastically welcomed him with yells of “looking good, Donald!” and “keep it up!” Then they broke into a group chant of “USA! USA!” as he left. 0 Comment to "Donald Trump Crashes A Wedding And Finds His Fan Base"